After searching for quality audio Bible stories suitable for young children, we were excited to discover THE BIBLE IN LIVING SOUND. 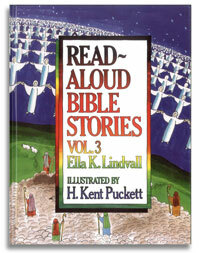 Our family has been enjoying these Bible stories for many years and we know you will enjoy them, too! THE BIBLE IN LIVING SOUND’s dramatized audio Bible stories are like a radio play, with actors, background music, and sound effects. This complete collection includes stories from the Old Testament, the life of Jesus and from the life of Paul and the apostles. 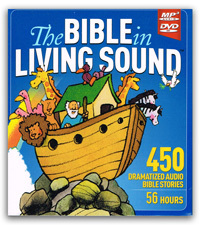 The DVD with MP3 format contains 450 dramatized audio Bible stories (56 hours). Import the MP3 files form the DVD into your iTunes Library/Playlist or Media Player to listen on your computer or transfer the Playlist to a MP3 player (iPod, iPhone, iPad or other audio player). Note: THE BIBLE IN LIVING SOUND also produces an audio DVD which can be played in your computer or on any DVD player. While the Bible stories are heard, THE BIBLE IN LIVING SOUND’s still artwork is displayed on the TV screen. 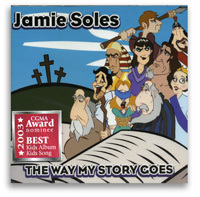 For more information about the audio DVD, individual CDs or workbooks for homeschool, visit www.BibleInLivingSound.org.